Flexibility is the most essential thing in modern work environments. Thanks to its wheels, the String Drawer Cabinet can be moved and repositioned in next to no time. 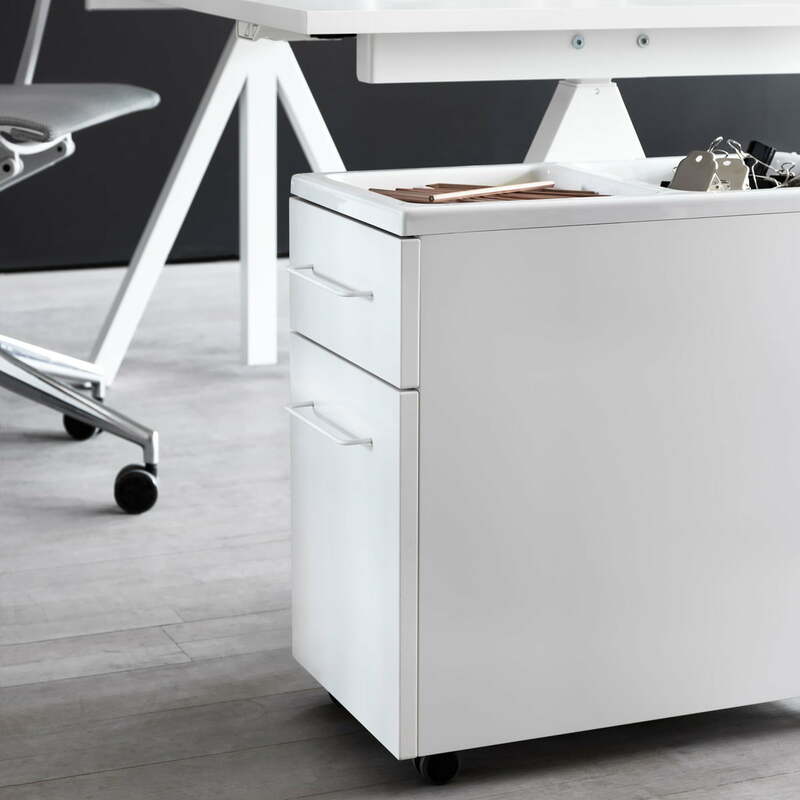 With its light and elegant design, the flexible rolling cabinet is not only suitable for the office but also for the bedroom, kitchen or anywhere else in need of creative solutions. 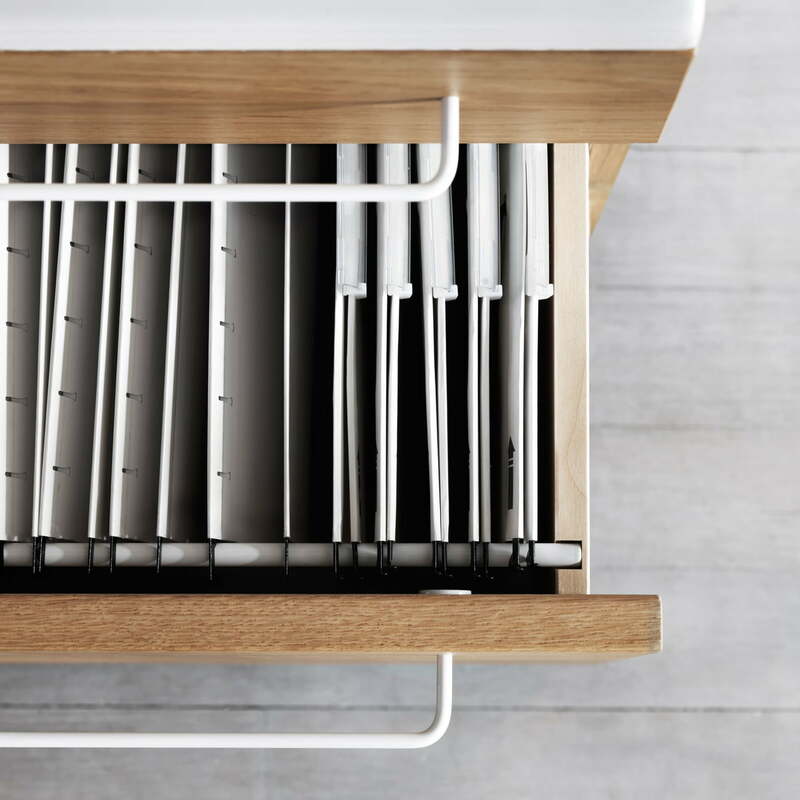 Just as with the original String shelf system, the adaptable drawer unit can be used very flexibly - and can be done so again and again. Although it can be combined excellently with other products from the Swedish manufacturer, it is just as suitable as a single piece. 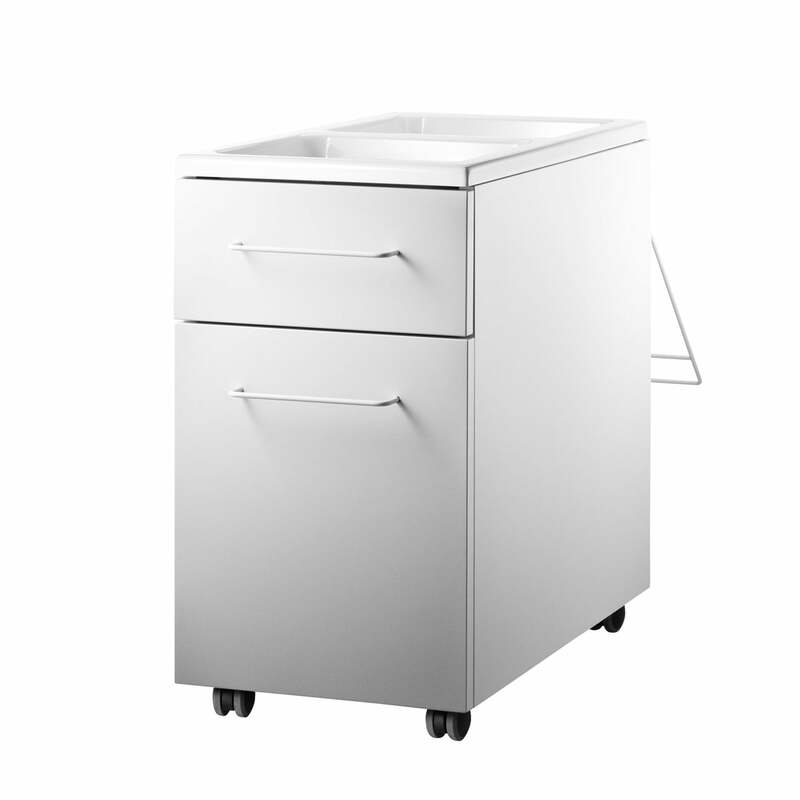 The String Works Drawer Cabinet on Wheels is fitted with two spacious drawers, where paper and other utensils can be stored. On the top of the cabinet, there is a double recess which can be used to store small items such as pens, paperclips or stamps. All other products from the String Works collection are available on request. 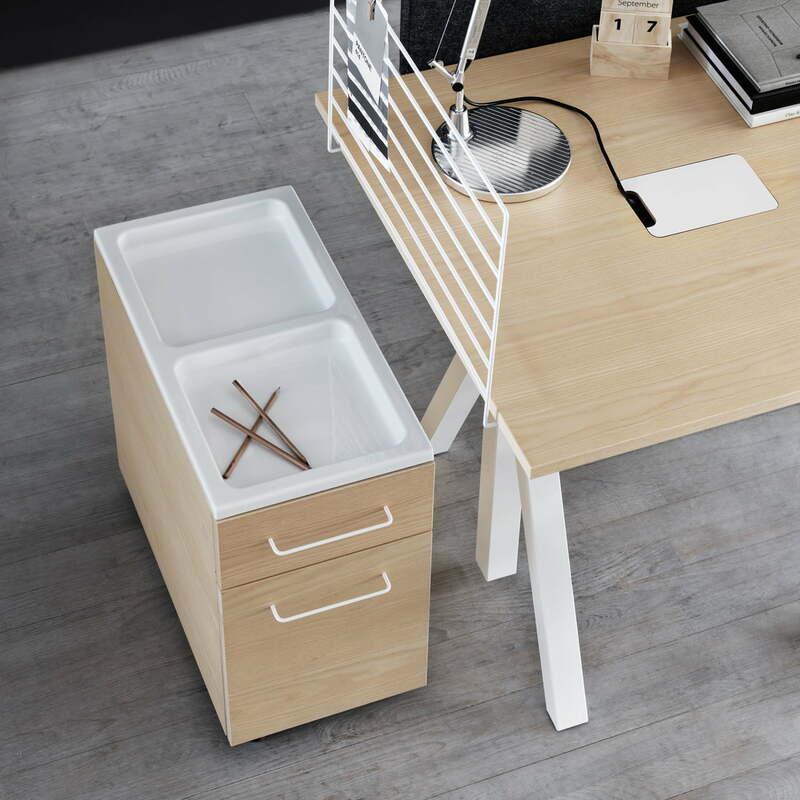 The drawer unit is available in all colours offered by String.